Ontario's mortgage regulator has fined a former Toronto mortgage agent's company $300,000 following a CBC Toronto investigation into the syndicated mortgage investments the company was marketing. Ontario's mortgage regulator has fined a former Toronto mortgage agent's company $300,000, a year and a half after a CBC Toronto investigation revealed that investors had likely lost nearly $9 million in syndicated mortgage investments the agent had solicited before he loaned the money to a convicted fraudster. But the province will likely have trouble collecting the fine. 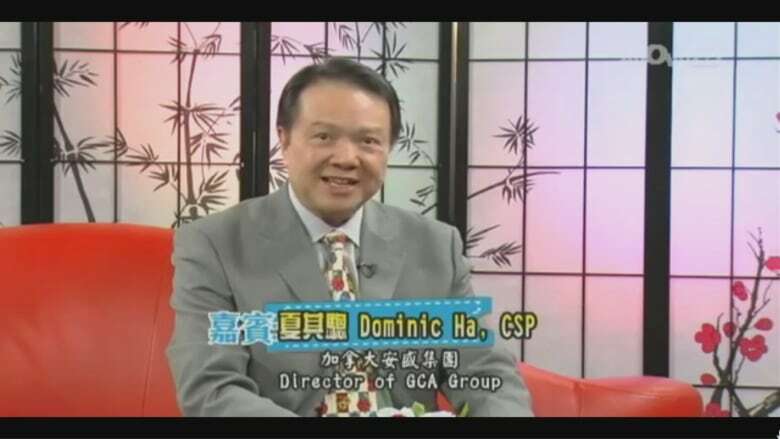 Dominic Ha and his company GCA Group both declared bankruptcy before the order was issued last fall. At the time, Ha's company was already facing more than $900,000 in liabilities, according to bankruptcy records. Those liabilities add up to roughly the same amount Ha would have made in commissions from the syndicated mortgage investments he sold through his company on behalf of Black Bear Homes — a development firm in Fort Erie, Ont., run by convicted fraudster Gary Fraser. In a syndicated mortgage a borrower — in this case Black Bear Homes with the help of Ha — finds more than one private lender to invest money in a property instead of going to the bank. For the Black Bear projects there were more than 120 investors, most of whom were part of the Greater Toronto Area's Chinese community and knew Ha from church or through friends. According to the contracts they signed, Ha received 10 per cent of the funds for each syndicated mortgage he solicited for "mortgage orientation, referral, management and consulting fees." That means that on a $300,000 syndicated mortgage, Ha would have received a $30,000 commission. Percy Chan and her husband invested $100,000 through Ha. Nearly two years after CBC Toronto's initial investigation, she and other investors are no closer to recouping their funds. "It's ridiculous. [The fine] is a little amount of money compared to $9 million," said Chan. "Now he just says he's bankrupt so he doesn't need to pay anything? What about our money?" Ha was a registered mortgage agent when Chan and others invested in the Black Bear projects. But in the wake of a CBC Toronto investigation in 2017, his licence was suspended and then revoked the following year. As a result, the Financial Services Commission of Ontario's (FSCO) fine does not concern Ha's practices as a mortgage agent, other than that he solicited mortgage investments through his company GCA Group, which was not a licensed mortgage brokerage. The provincial regulator ordered GCA Group to pay $300,000 in administrative penalties in October 2018 after determining the company sold mortgage products 20 times without a mortgage brokerage licence. The trustee overseeing GCA Group's bankruptcy confirmed with CBC Toronto that the fine issued by the province remains unpaid, and that the Minister of Finance is one of the company's creditors. 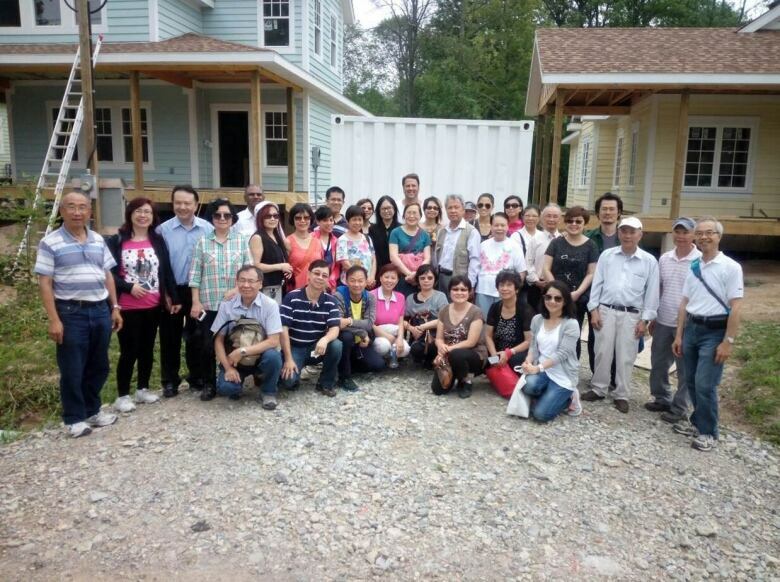 Gary Fraser and Dominic Ha took investors on a tour of properties under development in Crystal Beach, Ont. After examining Black Bear's syndicated mortgage contracts, ledgers and the investors stories nearly two years ago, a certified fraud examiner said, in his opinion, "this is open fraud." But in the end police disagreed. York Regional Police investigated Black Bear syndicated mortgages, but closed the case in October 2017. Chan and Alexander Wong — who invested $160,000 — believe that was a mistake, and they still expect more from the province and police, so others don't go through the same experience. "I think this kind of situation will happen again and again in the future," Wong, a retiree, told CBC Toronto. "This is not a serious enough punishment."